Hey Sunshines! I haven't done a fitness related video since forever and for the past 4 months Ive been a little unhappy about my physical appearance because I've actually gained a bit of weight -_- and been feeling less "Physically Fit" so this is the perfect time to get back to my fitness mentality and make it a lifestyle in combination with my healthy eating habits! *THUMBS UP* for more fitness videos!Big Thanks to Verizon for the "Fitbit Charge Wireless Wristband"⇢ http://vz.to/1GAP4Ar____________________________↓ WATCH MY PREVIOUS VIDEOS↓WakeUP with MakeUP (5min Routine)⇢ https://youtu.be/G-ShaQAg_88Beauty Cabinet Reboot⇢ https://youtu.be/Ozy6MrqHxjo____________________________ G I V E A W A Y↓⇣↓ Fitbit Charge Wristband ↓⇣↓1 winner will win a Fitbit Charge wristband + a BPA free water bottle! I will choose the winner from the comments on this video on May 15th 2015 and I will announce the winner on my social media accounts (@SunKissAlba) and link the winner's social media account in the announcement post.ENTRY RULES + INSTRUCTIONS:1) SUBSCRIBE TO MY CHANNEL:⇢ http://www.Youtube.com/user/SunKissAlba2) Leave a comment on this video and tell me your own fitness struggle or how you've maintained fit and healthy. (include your twitter or Instagram name at the end of your comment so I can contact you)__________________________⇣ FOLLOW ME ⇣⇢ www.Twitter.com/SunKissAlba⇢ www.Instagram.com/SunKissAlba⇢ SnapChat: SunKissAlbaXO⇢ www.SunKissAlbaBlog.com⇢ www.SunKissAlba.tumblr.com⇢ www.Facebook.com/SunKissA___________________________⇣FILMING & EDITING⇣Filmed by | Alba GarciaCamera | Panasonic Lumix GH4 (4K) qualityEditing by | Alba GarciaEditor | Final Cut Pro___________________________BUSINESS INQUIRES:⇢ AlbaGarcia2288@gmail.com__________________________Thank You for your support and love!❤︎ Alba Garcia | SunKissAlbaDISCLAIMER:This video is sponsored by Verizon Wireless but the Giveaway is conducted by SunKissAlba NOT Verizon Wireless. This video was done in sponsorship and partnership with Verizon Wireless in agreement to chose an item I personally like, use and believe my viewers are interested in. I am disclosing this information in accordance with the Federal Trade Commission guidelines concerning the use of endorsements and testimonials in advertising. People from all over the world have tricks for staying trim and living longer. Here are how some of the most successful nations do it. 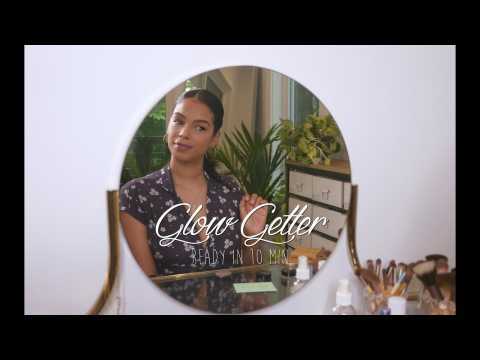 Getting ready to enjoy summer with my GLOW GETTER box curated by me, thanks to Eco Tools. 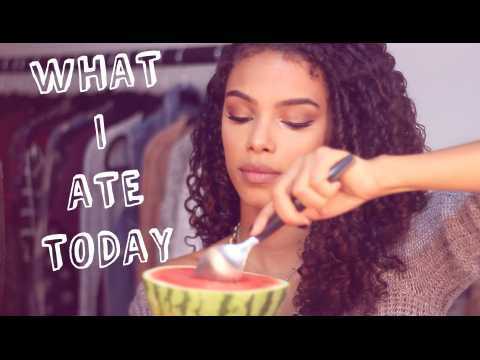 Everything you need to fulfill your summer goals is right here in this box⇢ http://bit.ly/2KRYX1i☟ SUBSCRIBE TO MY CHANNEL ☟⇢ http://www.Youtube.com/user/SunKissAlba☟ WATCH THESE VIDEOS NEXT☟Everyday Natural Beauty Routine⇢ https://youtu.be/sivlGzpNfGoBedroom/Nursery Tour⇢ https://youtu.be/I25eDuAIXvEWhat we eat / Food Haul⇢ https://youtu.be/-zhVekQ5Ol8PRODUCTS FEATURED:⇢ Eco Tools "Glow Getter" Box: http://bit.ly/2KRYX1iCoola spf 30 dawn patrol primerhttp://bit.ly/2KAGSYHeco tools blender spongehttps://go.magik.ly/ml/dggf/Herbivore rose hibiscus face misthttp://bit.ly/2tZlNgeKjaer Weis Foundation (transparent)https://go.magik.ly/ml/dggh/Alima Pure Concealer (spice)https://go.magik.ly/ml/dggm/Jane Iredale finishing powderhttp://bit.ly/2NhVzOUAntonym Cosmetics Baked Foundation (dark)http://bit.ly/2tNTrXdVapour Organic Beauty Multi-use Stain (Enchant)https://go.magik.ly/ml/dggt/100% Pure Long Last Brows (soft brown)https://go.magik.ly/ml/dggx/Alima Pure Eyeshadow (terracotta)https://go.magik.ly/ml/dgh2/Alima Pure Eyeshadow (lame)https://go.magik.ly/ml/dgh2/100% Pure Lumizer (rose Gold)https://go.magik.ly/ml/dggv/Antonym Organic Mascarahttp://bit.ly/2MJNO31Jane Iredale Lip Crayon (luscious)https://go.magik.ly/ml/dgh3/** I receive a percentage of the revenue from SOME of the purchases made through affiliate links (asterisk) shown in the products list above.☟ FOLLOW ME ☟• WEBSITE:http://www.SunKissAlba.org• INSTAGRAM: @SunKissAlbahttp://bit.ly/2thHeKk• TWITTER: @SunKissAlbahttp://bit.ly/2arMhhe• FACEBOOK: @SunKissAlbahttp://bit.ly/2xennxM• PINTEREST: @SunKissAlbahttp://bit.ly/2lYo4F3_________________________________For Business Inquires,My Manager⇢ Alba.Ramos@gleamfutures.com------------------------------------------------------PO BOX MAIL⇣Alba GarciaPO Box 658Nanuet, NY 10954_________________________________ CAMERA:Panasonic Lumix GH4 4k Mirrorless Camera⇢ https://go.magik.ly/ml/e7hq/ MUSIC:Turn It Up (COE Remix) - Johan GlössnerMeteor Bursts - Tomas SkyldebergLicensed by: Epidemic SoundFTC Disclosure:This video is sponsored by Eco Tools in agreement to feature products I genuinely like and use. All products featured are from a brands I've commonly featured in my content for many years without a sponsorship. As always all opinions are my own. I am disclosing this in accordance with the Federal Trade Commission guidelines concerning the use of endorsements and testimonials in advertising.